In the closing ceremony of RiseUp Summit, RiseUp announced opening an investment round led by Endure Capital, Enara Ventures, Kamelizer, and 500 StartUps. The investment targets enhancing the growth and impact of RiseUp as an entrepreneurship ecosystem enabler in the MENA region. There are other parties interested in investing in RiseUp, and RiseUp aims to close the round by January 2019. “RiseUp is simply the infrastructure on which startups are able to grow and scale. We are glad we are supporting RiseUp because this means we are supporting the ecosystem as a whole and we are inviting everyone to join us and join the movement,” said Endure Capital’s Managing Partner Tarek Fahim. 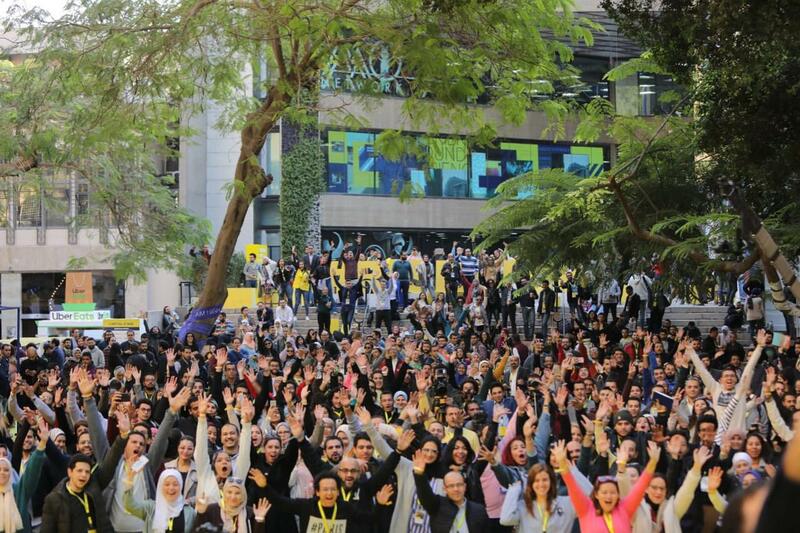 RiseUp Summit announced that the three days of the event welcomed 6,036 participants from 48 countries, including 289 investors, 298 speakers, 240 participating startups and 65 partner organisations. Among the most prominent talks at RiseUp this year was the fireside chat by Jason Pau, Chief of Staff of Alibaba’s Executive Chairman and Sam Gichuru, the founder and CEO of the business incubator Nailab. Gichuru was recently selected by Jack Ma, co-founder, and executive chairman of the Alibaba group, to lead, through Nailab, the Africa Netpreneur Prize Initiative, a $10M Initiative lead by Jack Ma foundation that seeks to discover, spotlight and support 10 African entrepreneurs every year for the next 10 years. Other prominent panelists included Farouk El Baz, Famous Scientist and former NASA engineer, and Lamees El Hadidi, Egyptian Journalist and TV host. Argineering won first place at RiseUp’s Pitch Competition and will receive US$ 50,000 from 500 Startups following due diligence, EGP 10,000 worth of credit for Uber rides, Artificial Intelligence and Blockchain course from IBM as well as membership to the bootstrap phase for the FBStart program by Facebook. Second and third place winners, MayDay and Vetwork respectively, also received EGP5,000 and EGP 2,500 credit in Uber rides as well as access to FBStart by Facebook and the course presented by IBM, and fast tracking for Falak StartUps bootcamp program. The “Crowd Champion”, who won the most votes from the crowd, Garment IO, has also won a free ticket to any European summit of their choice, presented by DealMatrix. RiseUp held a pitch competition and nearly 300 startups applied to participate, 50 companies were shortlisted, all in the pre-seed stage, and pitched to a panel of judges. The judges were Waleed Khalil, Partner at Endure Capital, Aly El Shalakany and Zeina Mandour of Cairo Angels, Jad Antoun and Vijay Ramkumar of Beco Capital and Ahmed Al Jabreen from 500 Startups. Nine startups were then chosen to pitch in front of the attendees and another a panel featuring Sherif Makhlouf, Partner at Innovety, Hasan Haider of 500 Startups, Abdelhameed Sharara, CEO of RiseUp and Willie El Amin, Strategic Developer Programs Manager for Facebook, MENA. The scoring was done by the judges and the crowd through DealMatrix, innovation management platform, live during the closing ceremony. TakeStep won the Social Impact Award. It is a start-up that provides a platform to help people with addictions by guiding them through recovery and connecting them to people and other resources on an ongoing basis to prevent them from relapsing. Am Amin: The largest book index App.